Amazon Echo vs Echo Plus vs Echo Gen 2 - Is there an Echo in here? 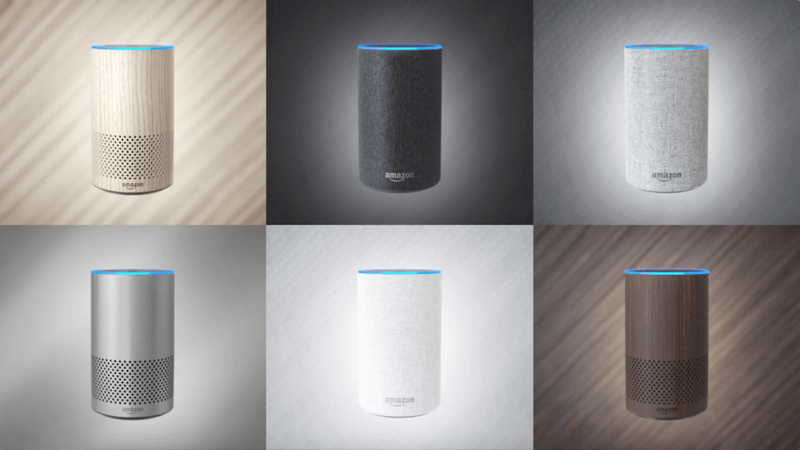 Amazon Echo vs Echo Plus vs Echo Gen 2 – Is there an Echo in here? Alexa took over the smart home with Amazon Echo and Echo Dot. Now she’s doing it again with Echo Plus and Echo Gen 2. 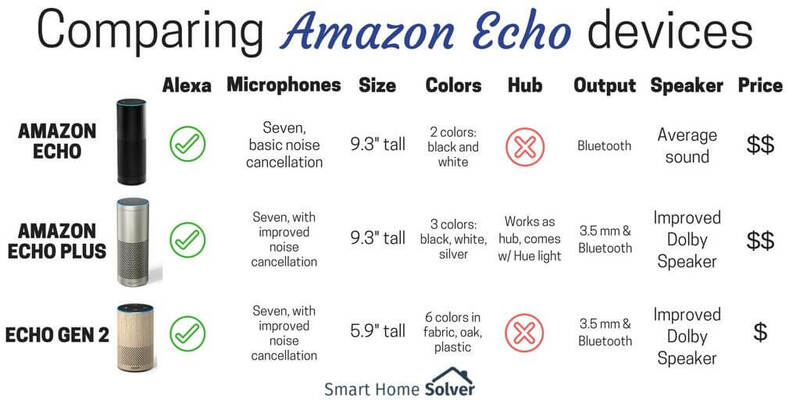 All of these Echo devices have major similarities, along with a few minor differences that are important to point out. Let’s compare Amazon Echo vs Echo Plus vs Echo Gen 2. All of the Echo devices have these features in common. The Echo Plus and Echo Gen 2 were announced in September 2017 as new and improved versions of the original Amazon Echo. The Echo Plus is the same size and shape as the Gen 1 version, but its technology is upgraded. Specifically, these are the benefits of the Echo Plus over the Echo Gen 1. Works on the ZigBee protocol. This means that you can use Echo Plus as a hub for smart home automation and control all ZigBee compatible devices, without needing an additional hub like Wink or SmartThings. Just say “Alexa, discover my devices,” and she will find compatible devices within your network. Comes with a white Philips Hue bulb to get you started with smart home gadgets. Note that you will not need an additional Hue bridge, since Echo Plus acts as the bridge with its ZigBee capabilities. Amazon claims Echo Plus has improved audio over the original Echo, including a 2.5″ woofer and a 0.8″ tweeter and dual speakers powered by Dolby. However, the original Echo had a 2″ tweeter, so the smaller tweeter may not sound as strong on the newer version. Only time will tell. Echo Gen 2 is smaller and cheaper, but still packs in extra perks over the Echo Gen 1. Amazon claims this has improved audio over the original Echo, including a 2.5″ downward-firing woofer and a 0.6″ tweeter and dual speakers powered by Dolby. However, this is smaller than the original Echo’s 2″ tweeter, so we’ll see if it’s actually better. The original Amazon Echo was a trailblazer. Many people who normally would not own a smart home gadget bought the Echo. Its newer versions of Gen 2 and Echo Plus continue to make the smart home more accessible and convenient. When comparing Amazon Echo vs Echo Plus vs Echo Gen 2, it’s easy to see that the new devices have lower prices and more advanced technology. It will be interesting to continue watching Amazon grow its stronghold in the smart home world. So there’s the Echo, Echo Plus, Echo Gen 2, Dot, Tap, Spot, Look, Show, and more. Which Amazon Alexa device is your favorite? Let us know in the comments below. Thank you for your comment! If money isn’t an issue, you could keep both and have one in the family room and the other in a bedroom/office/kitchen. If you want to return one, I would think about where you want the device to be installed. Echo Spot is great for a kitchen or bedside because it has the beautiful built-in screen. If you have family with an Echo Spot, Show, or similar device, then you can also video calls using the screen and camera.